It might be a little much to be constantly logging into Simple Inked throughout the day using your Username, Password and Company ID. The 4 Digit PIN Quick Login feature allows you and your staff to quickly sign in and out of Simple Inked, to ensure that all activities are tracked per operator. To begin the day, someone will first need to LOGIN using a set of login details - Username, Password, and Company ID. 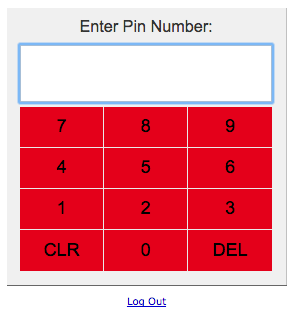 Then throughout the day, your operators can SIGN IN using their 4 digit PIN numbers. This will ensure that all activities are tracked per operator i.e. appointment updates, appointment deletions, transactions etc. These activities are tracked in your Activity Report. Enabling the Quick Login feature. You will first need to log in to your Simple Inked account as an administrator user. Then to enable the 4 Digit Quick Login, head over to your Settings, and into Application Settings. 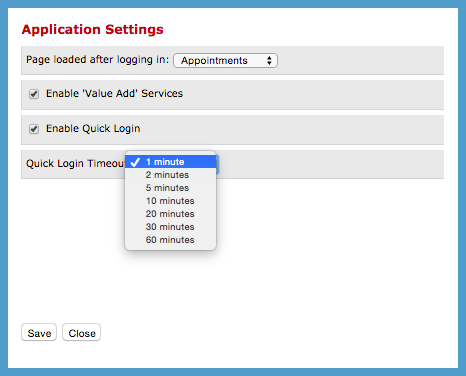 Tick Enable Quick Login and select from the drop down menu your Quick Login Timeout - this is how long you want to stay logged in for while your Simple Inked is not being used. After this set amount of time, your account will automatically sign out to the PIN screen. Save these changes. Note: Don't make the Timeout too short, otherwise you might find it signing out too soon, while you're in the middle of something. It will sign out if nothing has been clicked on the screen for the set length of time. At any time you can also select the Sign Out option (top menu bar). You have the Log Out option below the pin screen if you ever need to log out completely. You and your staff can simply enter in their 4 digit PIN, and you're back in! Issuing each of your operators their own unique 4 digit pin. I'm sure you'd like to know where to find your operators PINS. That's easy. 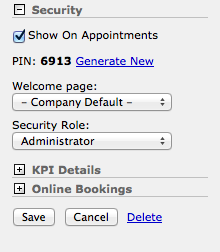 Pop over to your Admin page, and into the Operators tab. Edit an operator an expand (+) the Security section on the right side panel. If you don't particularly fancy this number, you can Generate New. Each operator will have a different PIN, therefore you will need to go into the Security section for each operator and give them their unique PIN.